We've noted before that Rovio's main desire is to be the next Disney. 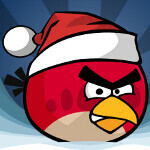 That means exploiting the characters of Angry Birds by merchandising the heck out of them. This has already started with Angry Birds shirts, lunch boxes, sheets and pillow cases, board games and candy. In Finland, during the Slush conference, it has been disclosed that Rovio's Angry Birds soda is the number one beverage in the country, outselling both Coke and Pepsi. 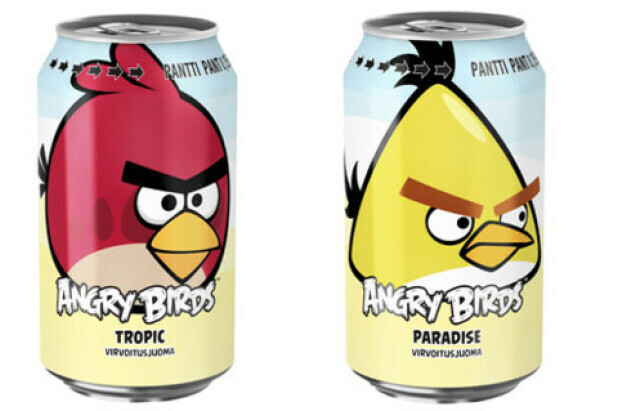 According to Rovio's busy CMO Peter Vesterbacka, the soft drink will soon be would soon be available in New Zealand and Australia. There is no word on whether it will get a shot in the states, where the soda industry is ultra-competitive. We could say that Angry Birds soda has wings, but that tag line has already been used. Those who have tasted Angry Birds soda say that the drink is "fruity". At least you don't have to be a pig to drink it. I like Finland, Nokia's hometown. Add a soda bird next update. I like the game and the line...but seriously, the merchandising is getting out of hand! Like people wearing Angry Birds' tee?? That's just insane.